The Conservation Imperative. posted a short whiteboard video on Facebook, looking at Swaziland’s proposal. The Kingdom of Swaziland has submitted a proposal to CITES. It wants to sell its stock of 330 kg of rhino horn, collected from natural deaths to a small number of licensed retailers in the Far East. A wholesale price of $30,000 per kg would realize around US $9.9 million. It also wants to sell non-lethally obtained, harvested horn at the rate of 20 kg per annum. This will raise a further US $600,000. A total recurrent annual revenue of US $1.2 million could be realized if the total amount was invested in an endowment fund. This money would help Swaziland’s rhino parks pay for protection costs by: improving the salaries of rangers at the dangerous frontline of rhino protection. The purchase of much needed additional infrastructure and equipment and providing supplementary food for rhino during periods of drought. Of course Swaziland should be allowed to sell its stock-pile of rhino horn; as should every other “rhino custodian in South Africa”. What this draws attention to is the absolute absurdity of perpetuating the existence of CITES, an organisation that was designed to “regulate” the wildlife trade but which has (under animal rights control) become an organ to “prohibit” it. 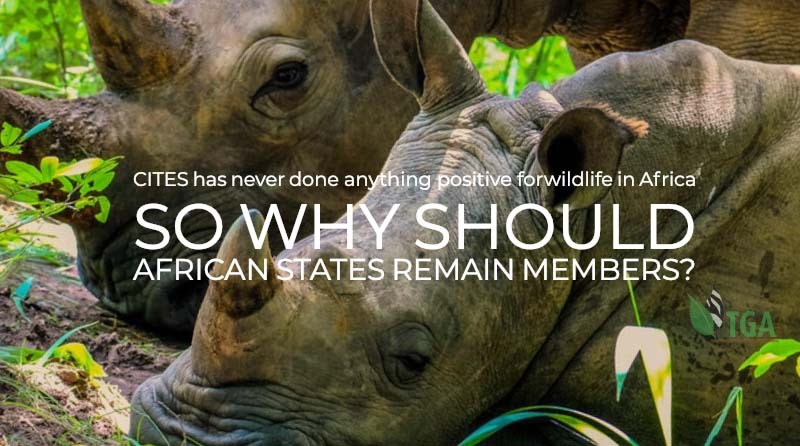 CITES has never done anything positive for wildlife in Africa – so why should African states remain members? It has now been ‘captured’ by the international animal rights brigade; and I think that the general public should prepare itself to see moves by responsible sovereign states to extract themselves from this greatly failed experiment. Certainly, the True Green Alliance would celebrate the total destruction of CITES. ← Have Sovereign African States Sold Their Rights to the BINGOS? 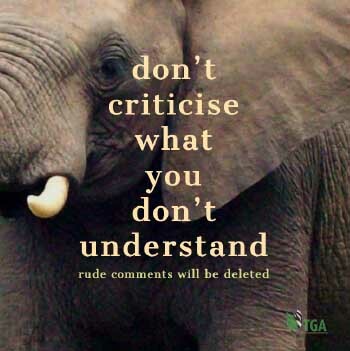 So what would happen if Swaziland – a nation, stood up to CITES, ignored them and sold their available horn on the open market?